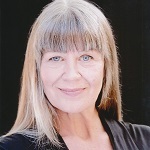 Annalee Jefferies was a company member with the Alley from 1986-2007. Recently seen on 4 episodes of "Queen Sugar," season 3 on OWN. She studied at the Royal Academy of Dramatic Art , London.